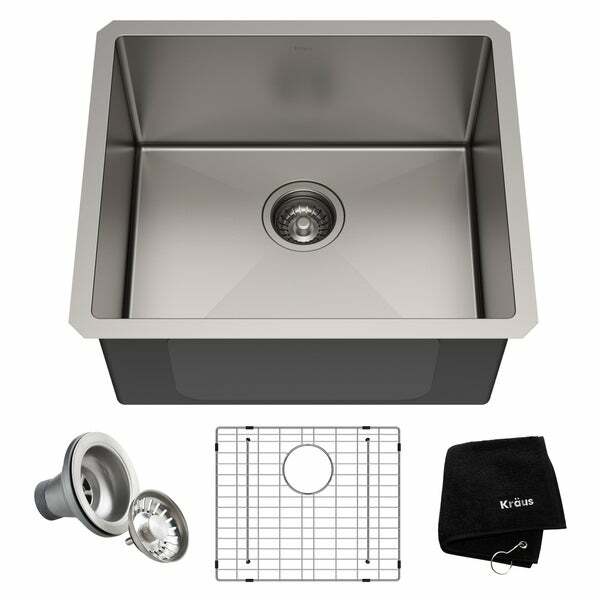 OUTER SINK DIMENSIONS: 21 in. L x 18 in. W x 10 in. D; Minimum Cabinet Size: 24 in. Dimensions 21.0 In. X 18.0 In. X 10.0 In. High quality, stainless steel sink. Just as good value as the more expensive brands. Heavy construction and love the grate at the bottom of the sink.